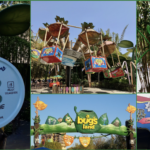 Disney California Adventure said goodbye to a bug’s land in September of last year, closing down the area of the park in preparation for a new Marvel-themed land. That closure meant the loss of the beloved attraction, Heimlich’s Chew Chew Train. Now, it looks like one of the ride vehicles from that attraction has a new home. As seen in the tweet above from former Pixar director Lee Unkrich, it looks like Heimlich (and his candy corn) has arrived at Pixar Animation Studios. Heimlich’s Chew Chew Train opened in October, 2002 when a bug’s land brought several new attractions to the park. The attraction was an outdoor dark ride that let guests ride along with Heimlich past giant pieces of food that he would munch his way through, hence the “Chew Chew” name. For more information on the former attraction, check out our guide page or the Disney Extinct Attractions story on a bug’s land. 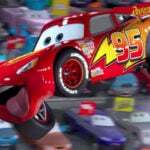 Jay Ward, the Creative Director for Disney-Pixar’s Cars franchise, discusses the new Lightning McQueen’s Racing Academy attraction coming to Disney’s Hollywood Studios in a new video. 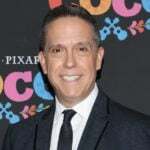 Lee Unkrich, who directed the beloved hit films Coco and Toy Story 3, is leaving Pixar after 25 years. 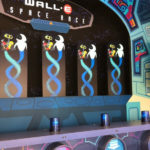 Pixar Animation Studios has announced plans to unveil its new SparkShorts film program next week at El Capitan Theatre. As part of Pixar Place’s reopening at Disney’s Hollywood Studios as part of the Incredible Celebration, Disney has renamed the food kiosk to the Neighborhood Bakery and has brought over the fan-favorite Num Num Cookies from Pixar Pier.